Some things go together well. Pigs with mud, peanut butter with chocolate, and Plymouths with Hellcat engines are all examples of this. 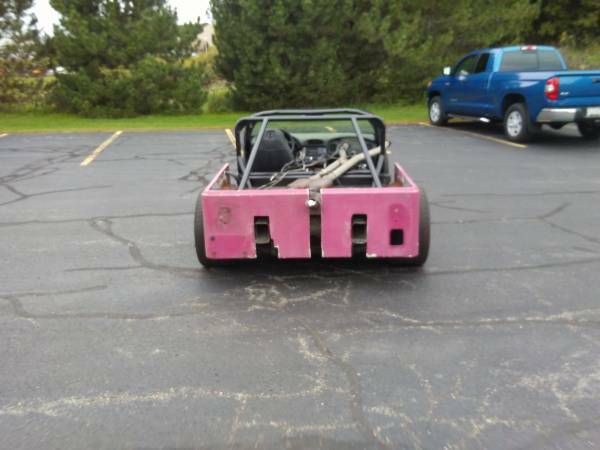 Two things that definitely don't belong together include Jeep Wranglers and Chevrolet Corvettes, but it seems somebody didn't get the memo, because that's exactly what one individual in Wisconsin has constructed. 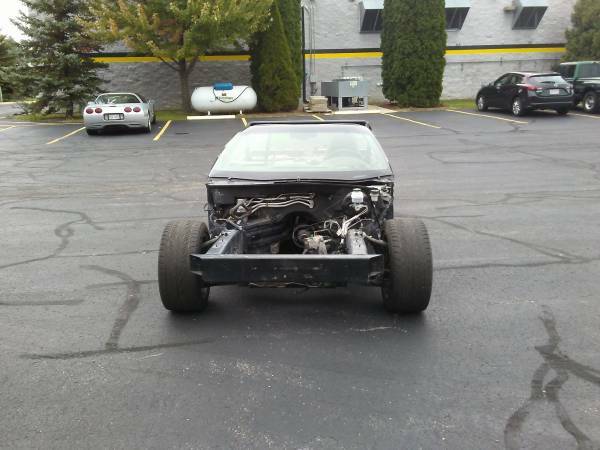 A Milwaukee, Wisconsin Craigslist listing shows a 2002 (or 2003, the seller doesn't seem to know) Chevrolet Corvette of the C5 generation with its bodywork peeled away to mount the panels from a Jeep Wrangler. 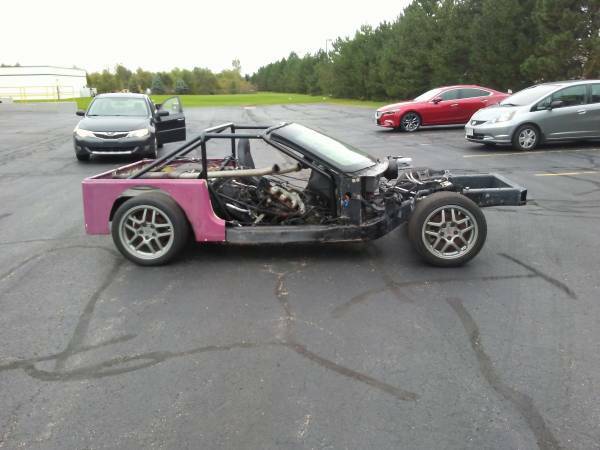 Listed as a rolling chassis (which we doubt given the degree of tire rub on the fenders) with 36,000 miles on it, the seller says the project ran and was driven a month ago. However, the chassis currently has no engine which means they pulled out that pushrod V-8 some time within the last few weeks. Where'd it go? The owner's other Corvette of course, which they say they'll include for another $25,000. It still has the transmission and driveline, as well as miscellaneous parts sitting in the bed and where the passenger seat used to be. They state a lack of time to finish the project, but given the lack of engine, obvious fender rub, and horrific proportions, we're chalking up to a lack of interest. Their asking price of $4,500 may sound like a steal for a Corvette, but considering the lack of a roof, bodywork, engine, or even finished roll cage, it's hard to justify buying this monstrosity over traveling to Italy. It has been sitting untouched on Craigslist for three weeks, and we suspect it'll hang around for several more.